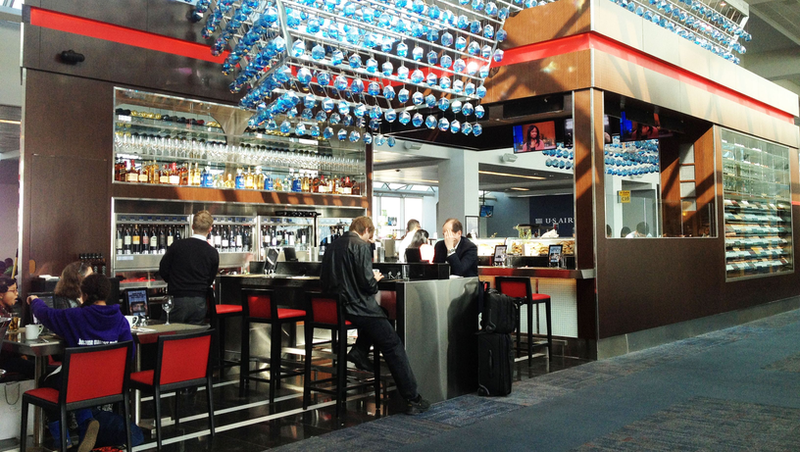 Foodie travelers coming in and out of New York have a new destination in La Guardia’s Delta Terminal C: Wibar, offering wine “flights” before actual flights. Food and beverage operator OTG opened the wine bar Tuesday, pairing 101 selections with state-of-the-art technology – WineEmotion wine dispensers and menus on iPads. The wine list, designed by Master Sommelier and French-born New Yorker Roger Dagorn, showcases in-state vintners from the Finger Lakes and Long Island, in addition to Italian and French classics to and more offbeat offerings from New Mexico and Austria. Wines are served in 2 oz. tasting pours, flights, half- and full bottles. Small plates, panini, meats and cheeses complement the wines. 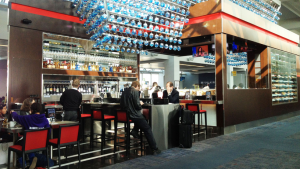 There’s also a full bar. OTG is designed to make every patron feel as though they’re sitting at the sommelier’s table with the bar as a centerpiece. 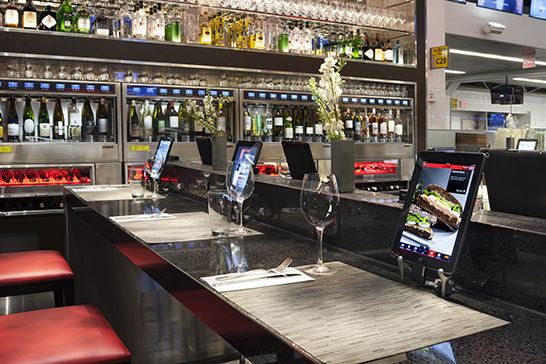 And in addition from ordering at the iPads at each table, diners can access flight information, surf the web and even shop from airport stores and pick up their purchases after — so you can relax and enjoy a meal in an airport for once.